Hier gibt es ein paar aktuelle Bilder aus Kudum. The Church is going on well. Six are undergoing teaching to be baptized in October this year. Boys Brigade are also undergoing training currently. The Church has purchased musical instruments to be used during Church service and worship – only keyboard remaining. 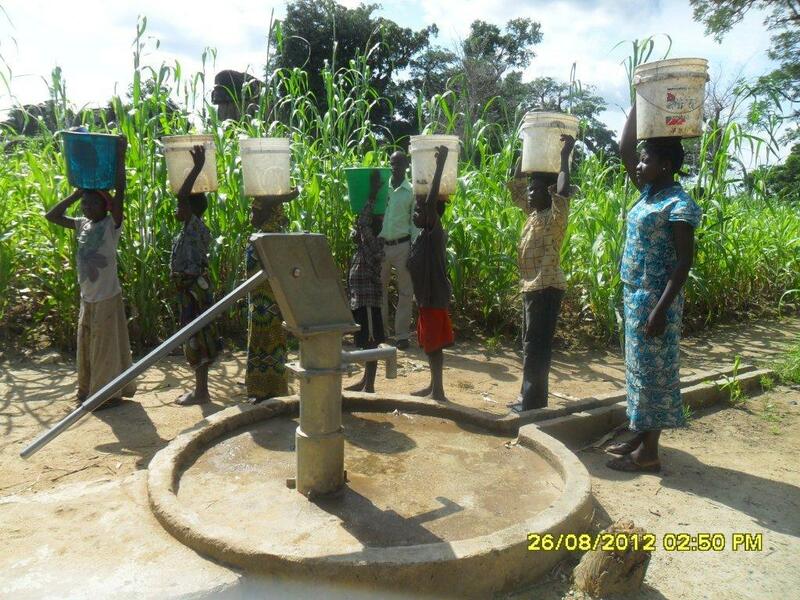 The water hand-pump is supplying water up to now and many people around the area are getting water from there. For us here we are now in rainy season with much rainfall in August. So scarcity of water is not much. 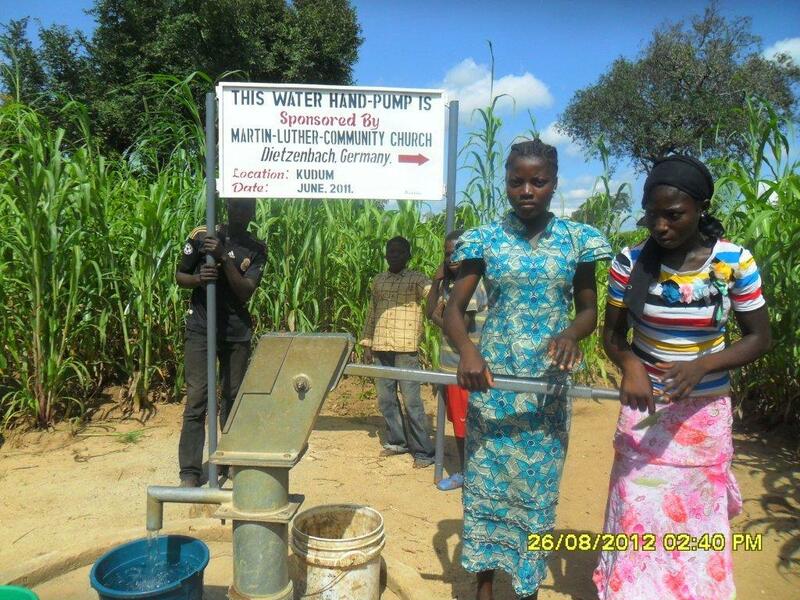 Kudum people are so happy and grateful for the water hand-pump for unlike others done by the Government in some areas, they have developed one problem or the other and some even out of use. 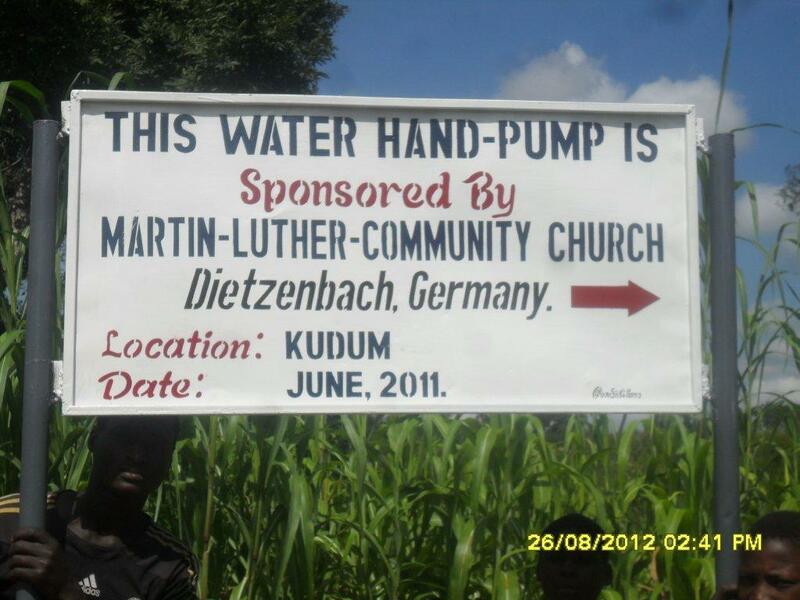 But this one provided by the partner Church in Dietzenbach still working well. The Pastor of the Church here, Yasa Bulus, Women Leader, Monica Kopshang and all the Church officials and members are sending their hearty greetings to the Pastor and members of the partner Church in Dietzenbach, Germany. My greetings to all too please. Thank you. Sie sind momentan im Blogarchiv für Oktober 2012 von Rund um die Waldkapelle.